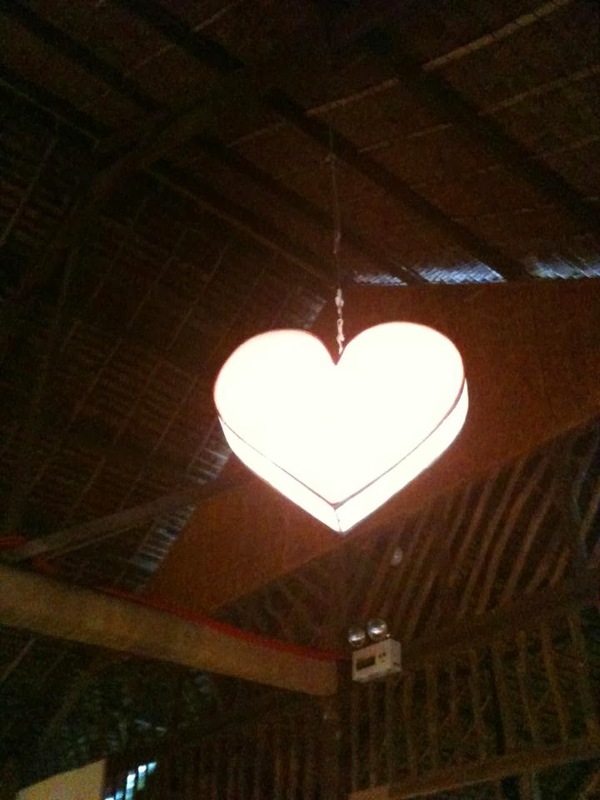 • The Link: "Found this heart in a restaurant. I love the light which gives a promise of dear friends coming back." • The Link: "Experienced my first Signal 2 typhoon and getting stranded on Olango Island with my Bacolod bestie, mommy, and auntie. But what do we do a couple of days after a typhoon? We go for a little hike and go bird-watching like the typhoon never happened. I feel like the three of us found this heart on one of the stone steps leading to a lookout point of a very undisturbed and breathtaking mirror lake. I think I remember all of us squealing when we found this heart as the place was absolutely deserted, so it was amazing to find this heart waiting for us. We ended up not seeing very many birds that morning, but that’s okay. We were the only ones out there!" • The Link: "I was so excited to find these hearts carved into these beautiful Tagbanua masks. My mom, aunt, and I had spent the afternoon shopping at the market when I found these. While I wanted to buy one, they’re actually too humongous to lug home, but I’m glad to have gotten a shot. The cult of the dead is the key to the Tagbanua religious system and they believe in several deities found in the natural environment as well as the belief in soul-relatives. I thought these masks with hearts were a way of speaking to us from the other side. So wonderful to find them and of course, to find Lorenzo here peaking among them." • The Link: "The tide had pulled out very early that morning, so far out that you could go exploring in the tidepools. It was about 7 AM when I went to explore the tidepools by myself. I spotted this heart on the reef my first morning on Olango Island. Beautiful way of being greeted in Cebu." • The Link: "My mom had not seen her cousins in 40 years. The last time she saw them was the first time she met them, and now we were meeting them for the second time in her life. We had met up for lunch at a delicious seafood restaurant where this humongous heart made of crabs was on the wall. Unforgettable lunch with an unforgettable heart on the wall."